Greetings from the Smokies! Most people enjoy coming to the Pigeon Forge or Gatlinburg area for its beauty, family vacation memories, and activity. Others tend to come around Thanksgiving or thereafter for the amazing shopping & deals available to locals & tourists alike. With access to so many different brands, types of gifts, as well as arts and crafts...why would you go anywhere else for your Christmas shopping? Also the 10 million plus Winterfest Lights throughout our area are just another reason to drop in, for a weekend or maybe more! We'll leave the light(s) on, so make plans to come see us this Season. Shop 'till you drop in Pigeon Forge, Gatlinburg, and Sevierville. 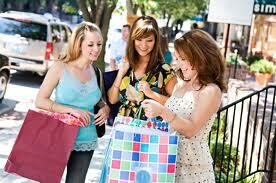 For those who like outlet shopping and great deals you've come to the right place. Pigeon Forge features numerous outlet shopping malls and centers, most within walking distance from the Holiday Terrace Inn! Belz Factory Outlet Mall, Tanger Outlet Centers, Five Oaks Outlet Center, Walden's Landing, and Pigeon Forge Factory Outlet Mall offer unlimited shopping! From clothing to books, appliances to home decor, everything a shopper desires may be located in Pigeon Forge, Tennessee. In Sevierville, there's Tanger Outlet Five Oaks Shopping Center, Governor's Crossing shopping area, and Belk department store (opened in 2004). Gatlinburg has many unique novelty shops, candy stores, and the Smoky Mountain Mall which is filled with different stores. 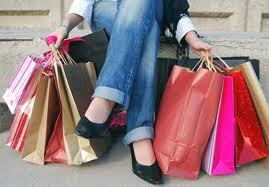 Find a cabin or chalet stay for a week, so you can do all the outlet shopping you want. 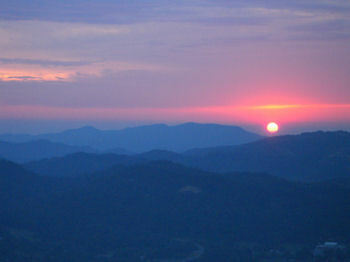 Why Come to the Smoky Mountains? Pigeon Forge, Gatlinburg, Sevierville, Townsend, Cosby and the Great Smoky Mountains National Park in Tennessee are wonderful destinations for your next family vacation, reunion, wedding or honeymoon. Dollywood, Dolly Parton's Dixie Stampede, Ripley's Aquarium, Ober Gatlinburg, outlet shopping, theme parks, golf and exciting special events are just a few of the exciting things to do for entertainment while you are in the area. Accommodation and lodging choices also abound with the wide selection of hotels, motels, log cabins and condo rentals and even campgrounds featured here. Don't forget to check out our discount coupons to attractions, restaurants, music theaters and lodging Pigeon Forge, Gatlinburg, and Sevierville, TN and be sure to register to win a FREE getaway to the Smokies! !